Sanford, FL – June 12, 2018 – This past week, team members from Wharton-Smith partnered with local builders and Habitat for Humanity of Seminole-Apopka (HFHSA) to make one family’s dream of home ownership a reality. 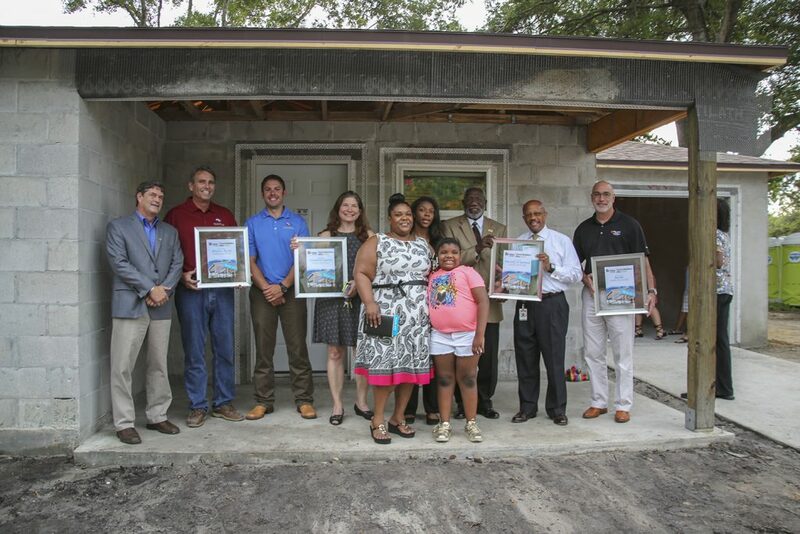 As part of the 4th Annual Home Builders Blitz, construction crews worked from sun up to sun down to build a single family home for Sanford resident Malita and her family. A dedication ceremony was held Tuesday, June 12, to bless the home, cut the ribbon, and present the family with keys to the house.